Do you ever feel like your family is bursting at the seams out of your home? Here's a great way to expand your living space, without needing to change your address. Are there days where you feel like you're tripping over all those files and resources you use for your home office that's crammed into the back corner of your bedroom? And what about all those new arts and crafts projects you've been working on with the kids? How cool would it be to have a dedicated art shed, so your kids would be inspired to stay involved in more creative projects on an ongoing basis? Or maybe you could use a spare guest quarters to give a little privacy to the in-laws when they come for more extended visits? 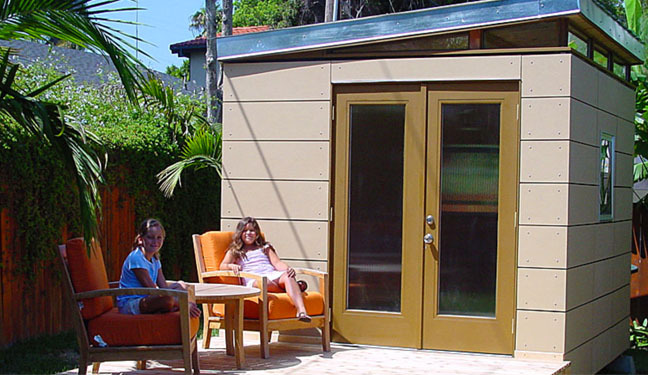 There are almost limitless ways in which these modern sheds can be used. 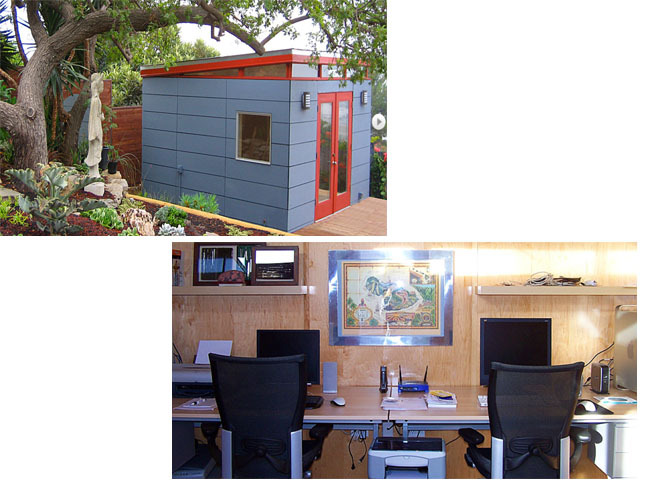 So take a peek and check out just a few examples of the creative ways in which Modern Shed owners have utilized their new spaces. 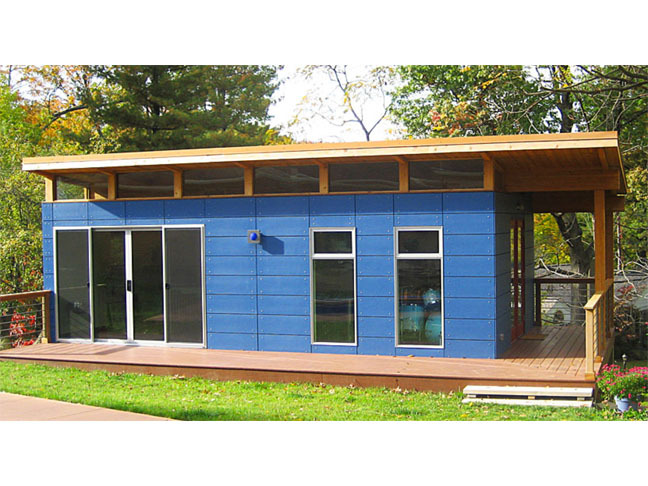 Can you imagine having this inviting little retreat built right into your own backyard, so you could move your home office out of your bedroom and have a quiet space to work and make phone calls from? And later on if your needs change, you can change things up a bit and convert your office back over into a studio or bedroom. 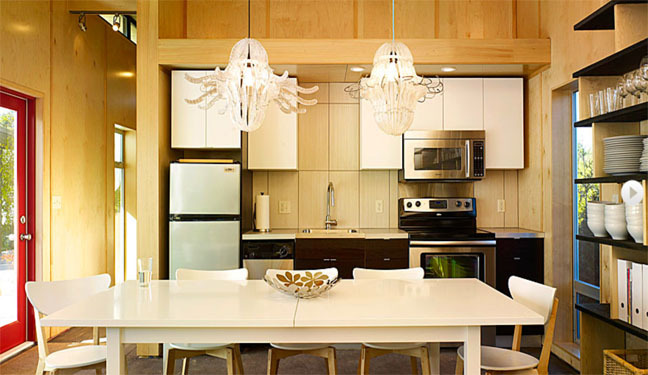 Here's a cool video that will show you how one owner customized his cartoon design studio to fit in with their existing home. Part of the beauty of the design of these structures is they can "grow" and adapt as your lifestyle needs change. Or how about a cool kid playhouse for the kids when they have friends over, that converts into a spare bedroom when the in-laws come for an extended visit? Or this could serve as that arts & crafts shed that you've been dreaming about, so you can encourge your kids to get their face out of their computer screen or the televsion, and get their minds and hands back into doing something creative. Or if you're really inspired and your budget can afford it, you can go full blown and build out an all inclusive quest quarters that could be used for your family or friends, or even as a rental for extra income, if the zoning and permiting in your area will allow that usage.